Mr Speaker, today I am publishing the report of the Redfern Inquiry, which was established in 2007 to investigate the processes and practices surrounding the analysis of human tissue that was carried out in UK nuclear facilities from 1955 to 1992. The Inquiry examined the circumstances in which organs or tissue were removed from individuals at NHS or other facilities, and sent to be analysed at nuclear laboratory establishments. To lose a family member is tragic. To find out - sometimes decades later - that tissue had been taken without consent, is an unimaginable hardship. That knowledge is a burden no-one should have to bear. There is no time limit on grief; nor on apologies. Mr Speaker, I would like to take this opportunity to express my heartfelt regret, and to apologise to the families and relatives of those involved. I hope that the publication of today’s Report goes some way toward providing the closure they deserve. The events described in the Inquiry should never have happened in the first place. We have learned the lessons of the past. The law on human tissue has been reviewed, and there is now a rigorous regulatory system in place, in which both the public and professionals have confidence. I would like to thank the chairman of the Inquiry, Mr Michael Redfern QC, for conducting the investigation. The Inquiry has also benefited from the support of the nuclear industry and other key stakeholders, who have cooperated fully. The Inquiry was established to investigate the circumstances in which organs were removed from individuals, and were sent to and analysed at Sellafield. However, as evidence came to light of similar work carried out at other sites and of studies involving non-nuclear workers, Michael Redfern QC was asked to make these additional cases part of his Inquiry. It was initially sponsored by the Department of Trade and Industry, who at that time had responsibility for energy policy. The Department of Health became co-sponsors when the Terms of Reference were expanded to allow the Inquiry to access relevant NHS information, and to investigate the part played by hospitals in which the post mortem examinations had been conducted. 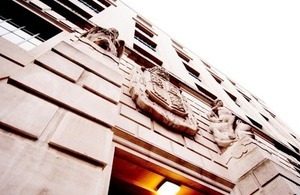 Although not a sponsor of the Inquiry, the Ministry of Justice also have an interest in the Inquiry’s findings and recommendations in respect of the coroner’s role. The report highlights unacceptable working practices within the nuclear industry, NHS pathology services and the coronial service, and concludes that families’ views were not always obtained as required under the Human Tissue Act 1961. It acknowledges that these events occurred a number of decades ago, and puts them within the context of the times and current practice. Many of the issues raised by the Inquiry have since been addressed by changes to the law including the introduction of the Human Tissue Act 2004. The Inquiry found that organs from 64 former Sellafield workers were removed by pathologists and taken for analysis at Sellafield between 1960 and 1991. In addition, organs taken from 12 workers at other nuclear sites were analysed at, or at the request of, Sellafield, giving a total cohort of 76. The Inquiry also found evidence of other individuals whose organs were analysed at Sellafield. The report finds that there was a lack of ethical consideration of the implications of the research work the industry was doing; that there was limited supervision undertaken; and that relationships between pathologists, coroners and the Sellafield medical officers became too close. The Inquiry has found that organs from a small number of former Ministry of Defence employees were removed for analysis. It has been difficult to establish the legality of a minority of these removals. Also, during the 1950s and 1960s the Medical Research Council oversaw research measuring levels of Strontium-90 in human bone obtained at post mortem. It was a national survey, involving over 6000 people, mostly children, and was not linked to former nuclear workers. The Inquiry also considered work undertaken by the National Radiological Protection Board. Across its entire remit, the Inquiry found that families’ views about organ retention were not always sought, and that very few families knew that organs were taken for analysis. Research using human tissue at that time was carried out under different legislation, and within a culture that took a very different approach to these matters than we do today. That is not to diminish the distress and suffering caused to families by the events of the past. However, we have learned from the mistakes of the past, and we now have in place the legislative and regulatory framework that makes consent the fundamental principle underpinning the lawful retention and use of body parts, organs and tissue from the living or the deceased for such purposes. My Rt Hon Friend the Secretary of State for Health and I welcome the recognition given by the Inquiry to the changes in the law, and the associated regulatory framework relating to the taking, use and storage of human tissue, that have been put in place since the events leading to this Inquiry. Since the Human Tissue Act 2004 came into force, we have seen the development of robust regulation which focuses on compliance through the provision of expert advice and guidance - and where regulatory action is taken if standards are not met. My Rt Hon Friend the Secretary of State for Justice has the principal interest in the findings of the Inquiry relating to the role of coroners. His Department is responsible for coronial law and policy, but as coroners are independent judicial officer holders , it does not monitor how they carry out their functions in individual cases unless specific complaints are made. Communication between families, coroners and pathologists was, and still is, vitally important. Changes to the 1984 Coroners Rules introduced alongside the Human Tissue legislation are aimed at ensuring that families’ wishes about what happens to organs and tissue retained after a post mortem examination can be properly established and acted upon. My Rt Hon Friend, the Secretary of State for Justice, also intends to take forward several of the provisions in the Coroners and Justice Act 2009 which address other problems Mr Redfern identifies, and which also aim to prevent any recurrence of the events that led to the establishment of his inquiry. Although the Government is not proceeding with the role of a Chief Coroner, we intend to transfer many of the intended leadership functions of the post to the Lord Chancellor, or possibly the senior judiciary. There will be higher standards when commissioning post mortem examinations, and in the way coroners communicate with bereaved families. There will be more effective operational delivery, with an end to rigid geographic boundary restrictions. Training for coroners and their staff will be maintained and improved, and coroners’ work will be more transparent so that unacceptable practices can be avoided or challenged and deficiencies tackled. We are also considering introducing the new, more accountable system for appointing coroners and their deputies enabled by the 2009 Act. Mr Speaker, the Inquiry has sought and received assurances from all of the key nuclear industry stakeholders that the practice of retaining organs or tissue at autopsy has ceased. I hope that the families of those involved can take some comfort from the knowledge that the practices that this Inquiry examined simply would not be permissible today.